Troy Urquhart, head of Upper School at Episcopal Collegiate School in Little Rock, minces his words when describing the suggested strategies parents offer for controlling their children’s social media use. It’s hard to imagine the parent who could legitimately enforce an absolute ban on social media, given the many on-ramps to the information superhighway that exist. Whether on their own handhelds, a friend’s device or logging on in the friendly confines of the local library, it’s nearly impossible to keep children shielded from some form of social media. This is particularly true when you consider the number of companies, institutions and even educators who communicate partially or totally by email, which technically falls under the social media header. While there’s an obvious difference between swapping emails with a teacher during a snow day and the kind of social media use that affects grades, social development and even mental health, the latter is precisely what is happening in startling numbers among children and young people. “Social media use has skyrocketed over the past few years. There are surveys that have estimated that kids now spend between 50 and 60 hours a week on some type of device, some type of screen time,” said Tiffany Howell, pediatric psychologist with Arkansas Children’s Hospital. “That, of course, can be detrimental to the other four senses that are being neglected. Not only that, but other dangers accompany spending too much time in cyberspace, from opening oneself up to predators to negative comments from peers. What’s more, there’s evidence to suggest that social media usage is not the teenage fad that some parents think it is. For this reason, some schools have begun to address social media usage either as a health issue or, in the case of Episcopal, a sociological one. 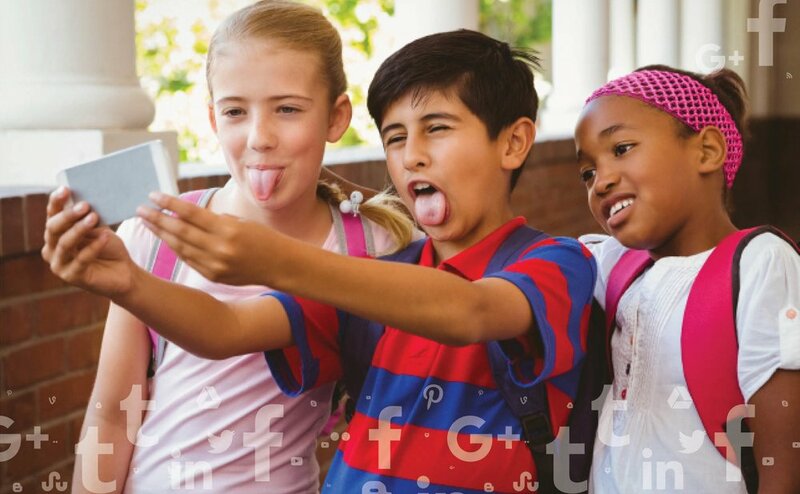 To do this, the school has partnered with the Social Institute, a North Carolina-based program that helps parents and students understand the positive and useful elements of social media and defines and reinforces correct behaviors. After a successful first year last year, Episcopal signed on for three more years of the curriculum, which starts in the fourth grade. Consider the following suggestions from Tiffany Howell and Katie Walker for setting limits on your child’s social media use. Allowing young people to have devices in their room is a recipe for disaster. Not only can you not monitor usage, but some studies say screen time affects melatonin levels and thus, your child’s ability to sleep. On a related note, Walker says phone charging should happen in the open, too. It’s non-negotiable whether parents should have access to their kids’ social media accounts. They should. Period. Parents should be familiar enough with platforms to check their kids’ privacy settings and browser, as well as help them understand the importance of limiting their social media circle.